January was pretty eventful, but very non-eventful at the same time. Don't even ask me if that makes sense. I have mama brain. I shared in our last update that I started working as a nanny. I'm no longer working as a nanny for the family I was working for. I'm not sure what the general population believes, but this family believed that since I was a stay-at-home mama, I should be available to them 24/7. Just because I'm a stay-at-home mama doesn't mean I'm actually home all day. I do have a life! So needless to say, the situation wasn't working out. Thankfully, I was paid for all the time I worked (that got kind of dicey there for awhile, and I actually thought I might have to sue someone! ), and I'm just glad to put the situation behind me and move forward. We visited lots of family in January and we had friends visit us. When Jason sings in the worship team at church, Bug gets to play in the nursery for an hour on Sundays. Between all of that, she has been having a blast playing with littles! She's really moving along in her development, too. She pulled herself up and stood up on her own for the first time. 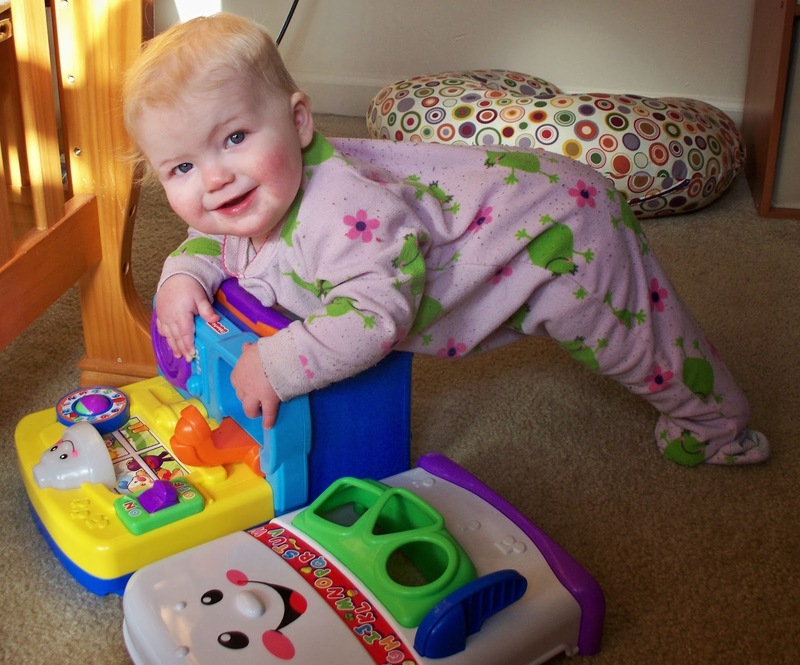 Bug still isn't crawling in the traditional manner, and to be honest, I doubt she ever will. She Army crawls everywhere, but has no interest in crawling on her knees and hands. She still has no teeth, though she will be one year old in March (how has a year already passed by???). Jason is continuing to tutor two students and recently advertised his tutoring services at our local library and at church. He loves tutoring. He's had to get a bit creative with how to teach his ten-year-old math student, and just in the last couple of weeks, his student has really started to grasp the concepts Jason was teaching. It's really exciting for Jason to see everything start clicking for his pupil, and I'm proud of both of them! We've been busy working on projects. 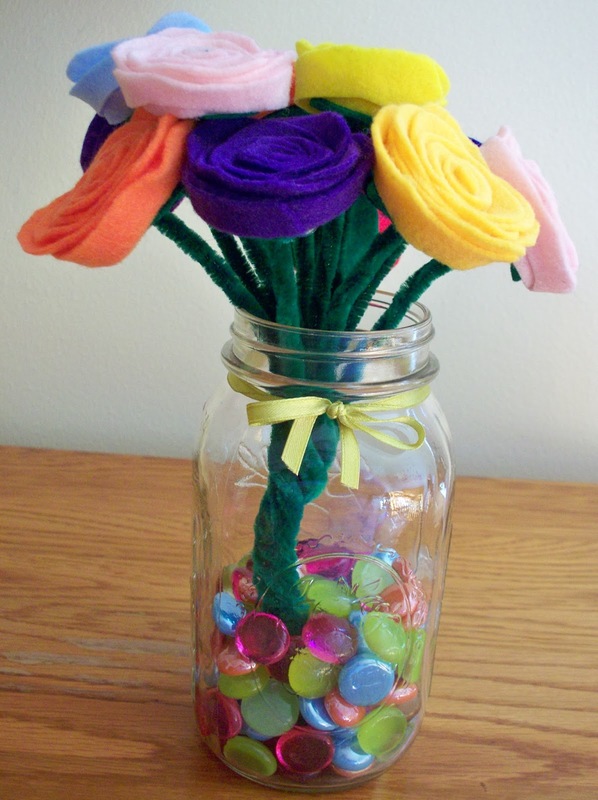 I made a bouquet of felt flowers to put in a Mason jar in Bug's room. I was shocked at how easy the flowers were to make and am really pleased with how the project turned out. I've been working on a couple of knitting projects, lots of felt projects and a couple of sewing projects. Preston and Bug are getting along a lot better and continue to grow in their tolerance of each other every day. Well, Bug adores Preston. Preston grows in his tolerance of her every day! 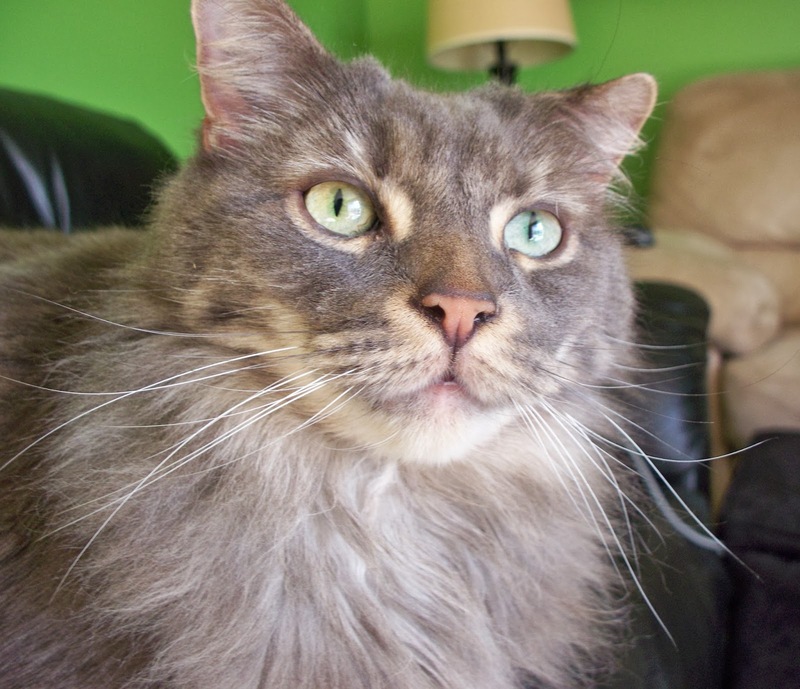 He has been having some health issues that I think are starting to be resolved. He turns 8 years old on February 2. I pray we have a lot of years left with him. I cherish the nights we all have a sleepover in our bed: me, Bug, Preston and Jason. I kind of think we need a bigger bed! It's just fun to see Preston and Bug loving each other more. We read Bug about 30 books in January. I read 9 and Jason read 5. Jason and I were both impressed by all of our reading. 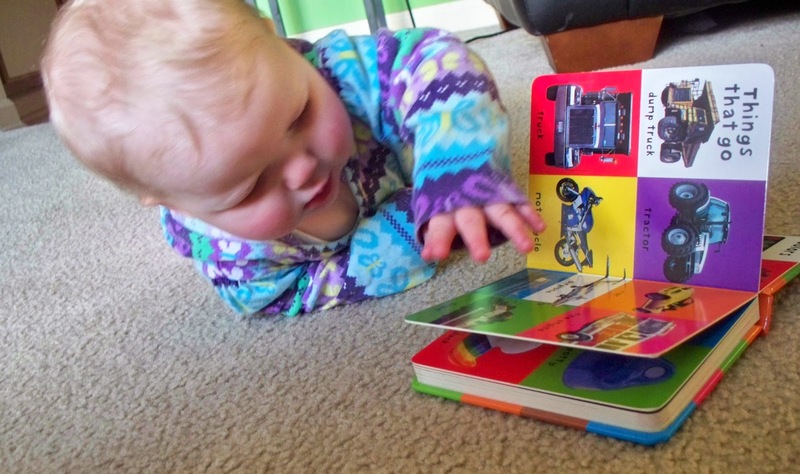 Right now, we are loving reading Bug Little Rabbit books and any board books. She sits on her potty each night and flips the pages while Jason or I read the book. It is hilarious to watch! I'm hoping to read a Reading Contentment Challenge book in February. Jason and I did not read any of our chosen RCC books in January. I know I say it all the time, but the month really did get away from us. I can't believe it's already February! My son never crawled on his hands and knees either. He went from this weird army crawl with one elbow and one knee to walking. He never got his first toot until about 16 months either. Good to know Bug isn't alone!!! Thank you for sharing.